TOKYO, Mar, 05 2019 - (JCN Newswire) - Mitsubishi Motors Corporation (MMC) is giving the MITSUBISHI ENGELBERG TOURER new-generation crossover SUV its global premiere at the 89th Geneva International Motor Show(1), March 5-17. Embodying the "Drive your Ambition" corporate global tagline, the MITSUBISHI ENGELBERG TOURER uses MMC's own and advanced electrification and all-wheel control technologies to raise SUV appeal to a new level. MMC will also be giving demonstrations at its booth of the DENDO DRIVE HOUSE (DDH) ? a new energy ecosystem allowing owners to generate, store and energy automatically between their cars and home, enhancing the value of electric vehicles. DDH, offered to customers at the showroom when they buy the EV/PHEV at MMC dealerships, is a V2H(2) based home system MMC plans to start offering this service in Japan and Europe from 2019. Engelberg is a well-known ski resort in the Central region of Switzerland that offers grand panoramic vistas and is known, as well as for its groomed runs, for its challenging off-piste runs that offer freestyle and freeriding fun for skiers and snowboarders. MITSUBISHI ENGELBERG TOURER is a Twin Motor 4WD plug-in hybrid EV (PHEV). As befits the Engelberg Tourer name, it offers high levels of running performance that allow the driver to enjoy driving in any weather condition or on any road surface with confidence. It combines this with the long cruising range inherent to the PHEV and that allows journeys out of town to places with no charging infrastructure. The excellent packaging combines passenger capacity with a variety of storage space to allow family and friends to spend a satisfying time on the way to their destination. It stirs driver and occupants' curiosity and sense of adventure as they seek to go further, as they seek to take a step beyond anything they have experienced before. MITSUBISHI ENGELBERG TOURER, as its name suggests and just right for the resort scene, has been designed as an elegant and functional all-rounder crossover SUV. We have crafted a design that bursts with Mitsubishiness. The body styling gives expression to the powerfulness and reliability that allows it to negotiate any kind of road. The interior offers generous cabin space that allows several passengers to enjoy the journey in comfort, and features levels of quality and functionality that are marked by a loving attention to detail. Features adding to its qualities as an SUV for a more active type of lifestyle include fog lamps fitted to an auto-open/close roof box and under guards for front and rear bumpers. MITSUBISHI ENGELBERG TOURER takes MMC's Twin Motor PHEV system fostered and developed in the Outlander PHEV and, using next-generation electrification and all-wheel control technologies, evolves it into an even more appealing vehicle propulsion system. In addition, the combination of the PHEV system with connected car technologies means the MITSUBISHI ENGELBERG TOURER can be driven in all weathers and over all types of road with greater reassurance. MITSUBISHI ENGELBERG TOURER uses a PHEV system that befits a top-of-line next-generation crossover SUV. The large capacity drive battery is fitted beneath the floor in the middle of the vehicle. It uses MMC's Twin Motor system that locates high output, high efficiency motors at front and rear, but provides a cavernous cabin space that allows 3-row seating. The engine is a 2.4L gasoline unit designed for the PHEV system. In series hybrid mode, the engine acts as a high-output generator and achieves a high regeneration rate, while the larger displacement makes for quieter operation and better fuel mileage. In addition to the higher efficiencies in the PHEV system itself, MITSUBISHI ENGELBERG TOURER uses detail low-consumption technologies such as radiator grille shutters that bring a reduction in drag. MITSUBISHI ENGELBERG TOURER has an EV cruising range of over 70km (WLTP cycle), and with a fully charged battery and full fuel tank it has a total cruising range of over 700km (WLTP). This means driver and passengers can enjoy the smooth, powerful and quiet driving inherent to an EV for longer still. MITSUBISHI ENGELBERG TOURER uses MMC's Twin Motor full-time 4WD system with high output, high efficiency motors driving the front and rear axles and, employing the knowhow garnered with the Lancer Evolution series, uses Active Yaw Control (AYC(3)) to tailor torque split between the front wheels. These components are used together with MMC's Super All-Wheel Control (S-AWC) integrated vehicle behavior control system which delivers a dramatic improvement in dynamic performance -- acceleration, cornering, stopping -- by integrally controlling the braking force at each wheel (Anti-lock Braking System, ABS) and the front and rear motor output (Active Stability Control, ASC(4)). The Twin Motor 4WD driveline delivers outstanding front/rear torque split response and is also distinguished by the feeling of acceleration inherent to electric motor drive which generates maximum torque in an instant. Torque split control between the front wheels improves driving performance to deliver a level of nimble and feel-good handling unimaginable in this size of car. It also increases stability by reducing wheel slip on unmade and snow-covered roads to ensure that maximum drive torque is transmitted to the road surface. When the driver enters the destination in the onboard navigation system, the Connected Car System uses weather, temperature, topography, traffic and surface condition information to select the optimum drive mode and to tailor torque split through drive battery energy management and the S-AWC system. This allows safe and comfortable driving and also contributes to fuel economy. MITSUBISHI ENGELBERG TOURER uses its motor drive to deliver powerful driving and excellent environmental performance. With its point-and-go drivability and all-wheel control that delivers outstanding stability, it enables the driver to accelerate, corner and brake safely and surely as he follows his intended line in all weather conditions and on all road surfaces. The DENDO DRIVE HOUSE (DDH) is a packaged system comprising the EV/PHEV, a bi-directional charger, solar panels and home battery and is designed for home use. This is a one-stop shopping service available at MMC dealerships that bundles together the sale, installation and after-maintenance(5) of the system components. The package allows the customer to charge their EV/PHEV at home using solar generated power, and to supply electricity from their EV/PHEV to the home. DDH brings merits to the customer that include savings on electricity costs and the provision of an emergency power source. The DDH system delivers significant cost benefits. The customer can reduce fuel costs by using solar panels to generate power during the day for charging EV/PHEV and domestic storage batteries, while at night, they can reduce power costs by using a bi-directional charger to supply power from their EV/PHEV to the home. The customer can contribute to the creation of a low-carbon society by using the electricity generated by solar panels to power domestic appliances or to provide the power to operate the EV/PHEV. DDH provides an emergency power source that can supply power from the EV/PHEV or storage battery to run appliances in the home. DDH is offered as an inclusive package at Mitsubishi dealerships, making it easier for the customer to purchase all the system components. 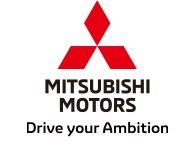 Mitsubishi Motors is working to make customer lives more affluent and convenient through the electrification of vehicles. When moving, the electric vehicles respond faithfully to their driver's intentions. When parked, it is a partner that can be depended on. DDH is a proposal that brings a new kind of value to the electrification of vehicles. (1) Officially, Le 89e Salon international de l'automobile Geneve 2019. March 5 and 6 are Press Days, while the show is open to the public from March 7 through 17. (2) Vehicle to Home: A system of supplying homes with electric power stored in EV/PHEV batteries. (3) Using steering wheel angle, yaw rate, drive torque, brake pressure, wheel speed and other information to accurately determine driver intent and vehicle behavior, the system controls torque split to, and brake force at, the front wheels so that vehicle behavior faithfully and safely reflects driver intention. (4) Reduces instability in vehicle behavior that results from slippery road surfaces or sudden steering inputs. (5) In certain countries and regions, installation and after-maintenance will be handled by outsourced contractors.